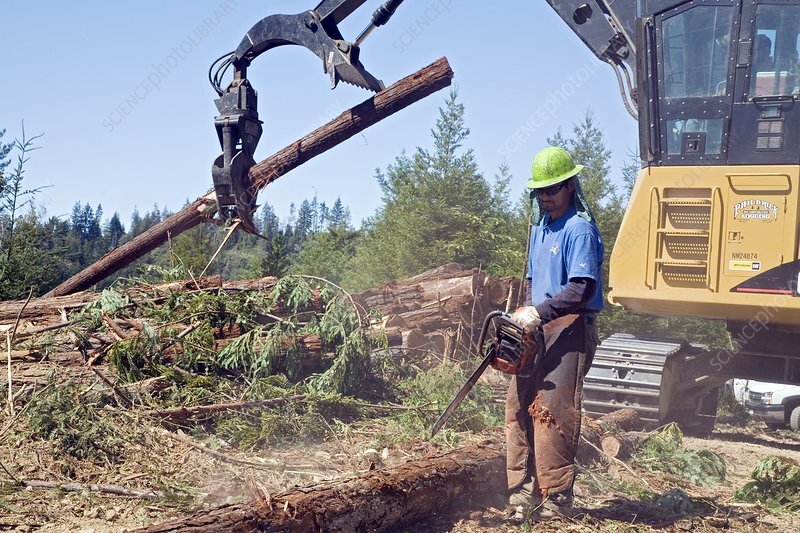 Redwood tree logs being stacked after felling. Redwoods are the largest trees in the world and live for up to four thousand years. They have become endangered due to habitat loss and logging. Photographed in Fort Bragg, California, USA.